Today is Giveaway Day on Sew Mama Sew, where there will be hundreds of other blogs linking up with giveaways. It’s a biannual event and I am really happy to be taking part for the first time today. I have three copies of my new ‘Fancy Pants Leggings’ PDF Pattern to giveaway. 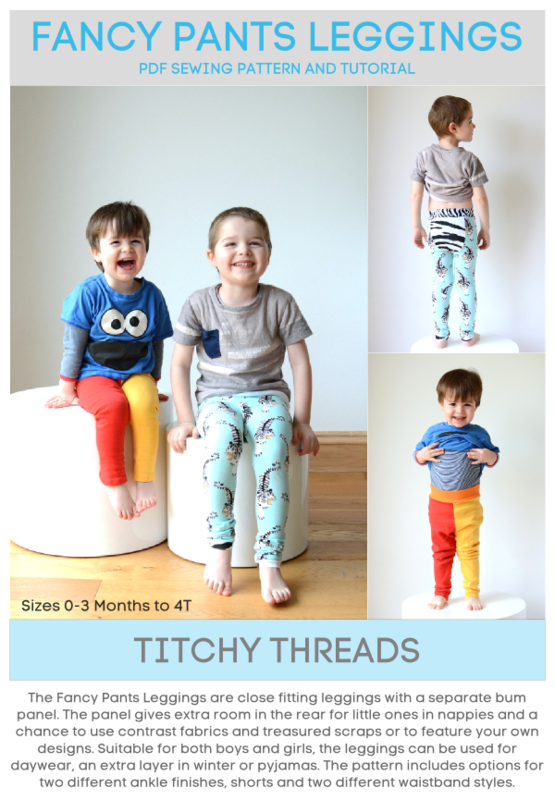 You can find more details on the Titchy Threads website here, including reviews and photos from the Titchy Threads Flickr group. I thought I’d share some photos of what some of my amazing testers have used the pattern for. If you click on any of the photos it will take you to the tester’s blog post. Jane from Buzzmills has been whipping out pair after pair using upcycled T-shirts. It’s such a great way to get some unique prints. Celina from Petit à Petit and Family has made several pairs. 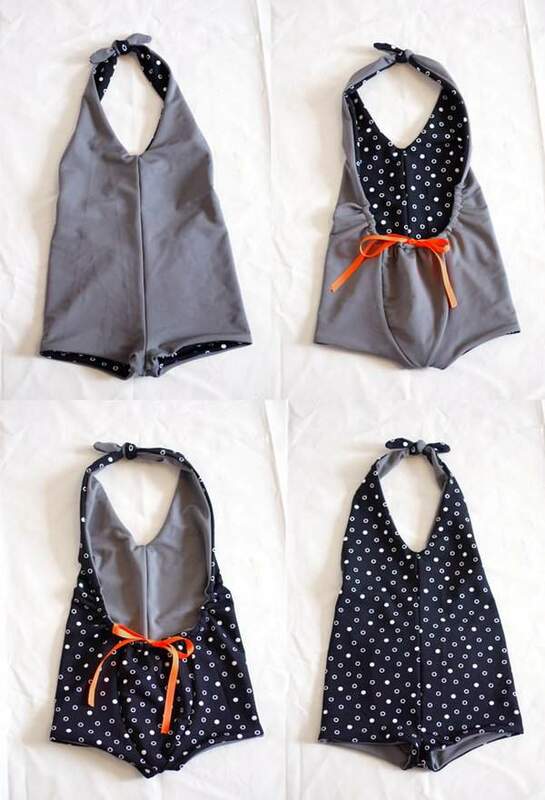 She’s even made them as swimshorts for her son and then adapted the pattern to create a stunning reversible swimsuit for her daughter. Heather from Feather’s Flights also used a thrifted T-shirt and hand stamped it with walruses. I love these and the other pair she made with a chevron knit. 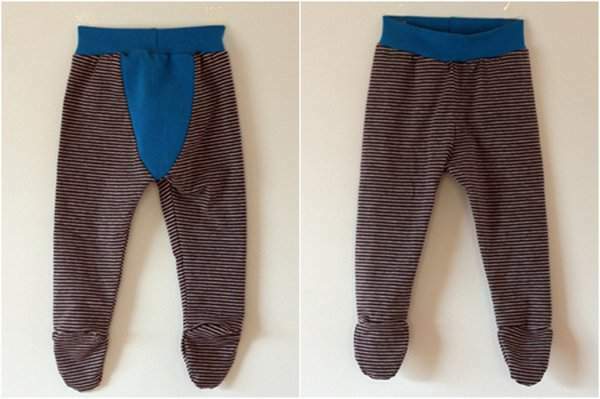 Last but not least, Abby from Things for Boys made a really cute pair for the new baby she’s expecting soon. As it’s Winter in Australia she added feet to the bottom. Welcome to those of you visiting from Sew Mama Sew. 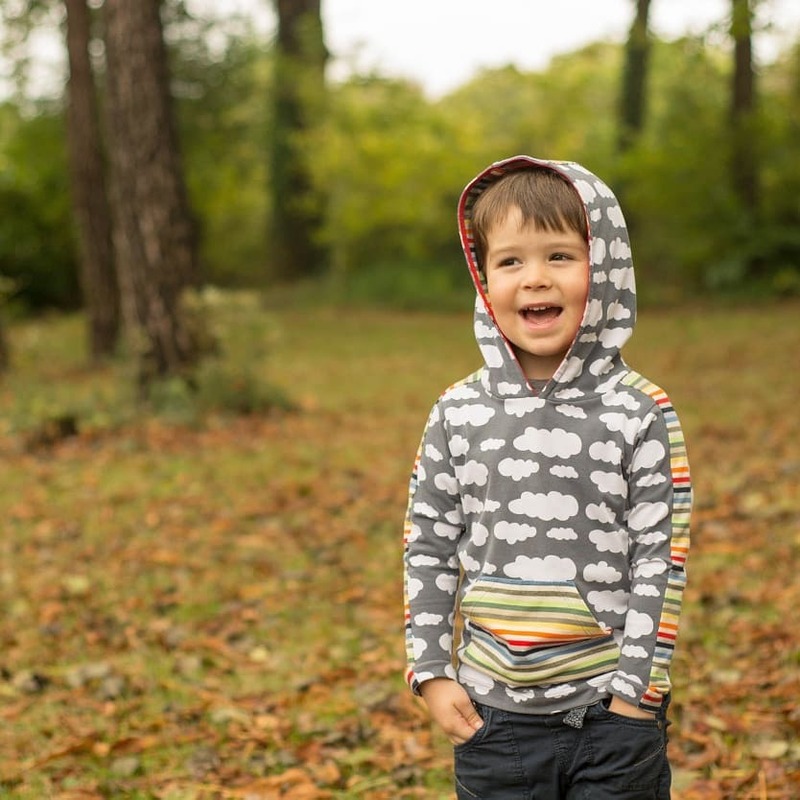 I hope you’ll have a look around while you’re here – I mostly sew clothes for my two boys as well baking and a few other crafts. You can get a quick overview of any category if you click on the menus at the top. The giveaway is available to anyone and three winners will each receive a copy of the Fancy Pants Leggings PDF Pattern. The giveaway closes this Friday, the 10th of May at 5pm PST and I will announce the winners by this Sunday. To enter this giveaway leave a comment at the bottom of the post telling me about the biggest mistake you’ve ever made while sewing. 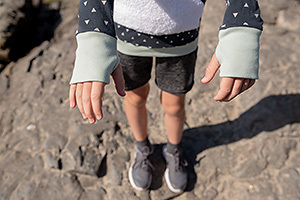 I think mine was sewing a raglan sleeve on upside down – I had already unpicked the seam once for another reason and I was using French seams. I’d love for you to follow my blog and like either of the Craftstorming or Titchy Threads Facebook pages (or both) although it’s not a requirement to enter the giveaway. I have not yet learned to sew with a machine, but as a hand stitcher I once sewed my sons school trousers (the knee – boys!) to my own trousers. Had to quickly cut them and put him in shorts for the day! I didn’t cut a sleeve on a fold, & ended up with the worlds skinniest cardi sleeves! I think my biggest mistake was sewing bias tape on a pair of boys shorts and not checking to make sure there was enough- TWICE. Yes, some of us have to learn the hard way! I’ve only just started to get into sewing, but my biggest mistake seems to be getting fabric folded under where it’s not supposed to be and stitching a long way before I notice. My stitch ripper and I have become good friends. I was making roman blinds and totally measured incorrectly and cut the fabric way too short. I had to go out and but new (expensive) fabric again and they weren’t mine to start with. I’ve sewn countless garments with wrong sides together instead of right. It’s the worst when it’s knit. i make so many mistakes it’s hard to pick just one of the biggest. I guess for today I’ll stick to buttonhole variety. Do you realize it’s impossible to “fix” a buttonehole that while opening the slit I slipped and opened right through the end threads? It required a whole new front piece and lining to replace. I think my biggest mistake has been when sewing a dog coat together (it had a lining inside) I somehow sewed the two arm holes together! My big mistake was trying to sew a 90 degree angle with a serger……I ended up with a big hole and a ruined project. I’m new to sewing (just shy of a year! ), but my biggest mistake so far is screwing up with my rotary cutter! I cut all the little pieces for a whole project 1/8-1/4 inch too small! And it mattered! I had to scrap all the pieces and start over.. Hmph. This is a tough question! I think the biggest mistake I have made while sewing is taking apart my childhood quilt to improve on it (change out the backing) before I knew had the experience to know that was a terrible idea. I sewed a sunsuit and matching bonnet for one of my co-worker’s new baby. As I was putting the final touches on the sunsuit, I put the snaps on the wrong way. There was really no removing them. I had to completely redo the bottom panel. I just finished my first throw sized quilt. I was so excited to finally finish the free motion quilting, that I didn’t notice I had the quilt folded in half and quilted the entire bottom corner to the middle of the quilt. Lots of seam ripping to do then! Let’s see… I’ve cut things the wrong size, or sewn the wrong sides together, and the wrong bits together. Or sewn seams in the wrong order, when it really matters (gotta do the darts before the side seams!). I think I’ve done it all. I’ve not had to just throw anything out though, I can usually find a use for the material, even if not the original use. Cute pattern, would love it for my two kids. I make too many to remember – even though I’m no longer a “new sewist” I still keep doing things like sewing seams with a right and a wrong side together, cutting holes with my serger, etc. 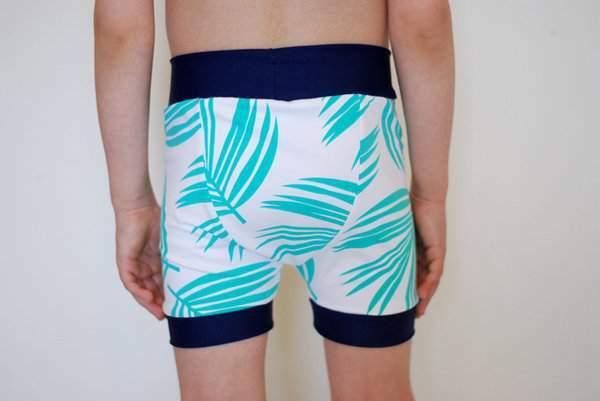 Those fancy pants are very cool, and the swim suit is adorable. Very inspiring! I frequently serge things wrong and have to unpick them! Ugghh, makes for long sewing sessions! Worst mistake was learning to quilt and always putting the wrong pieces together – unpick after unpick after unpick! Thanks for the giveaway! 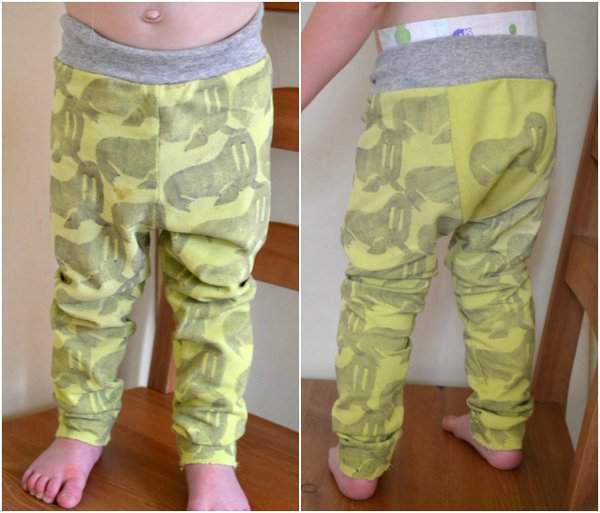 I’m not sure if this is my biggest mistake, but it is my latest….while trying to make a pair of pants for my son out of an old pair of mine I cut both legs with the right side out (instead of one with the right side out). There was no way to fix it after it was cut. Hmm…the worst is when I sew one panel of a skirt right side up and the other upside down and the print makes it obvious. Sewing mistakes happen all the time to me, I just fix it and keep going! The worst was when I had sewn 12 rows together and was joining them in 3 row strips. While I was sewing the last border on I realized I had sewn the center blocks upside down! My seem ripper was my friends most of the next day! Cutting right into a piece of fabric I had just spent forever cutting out perfectly! I have a 7mo. 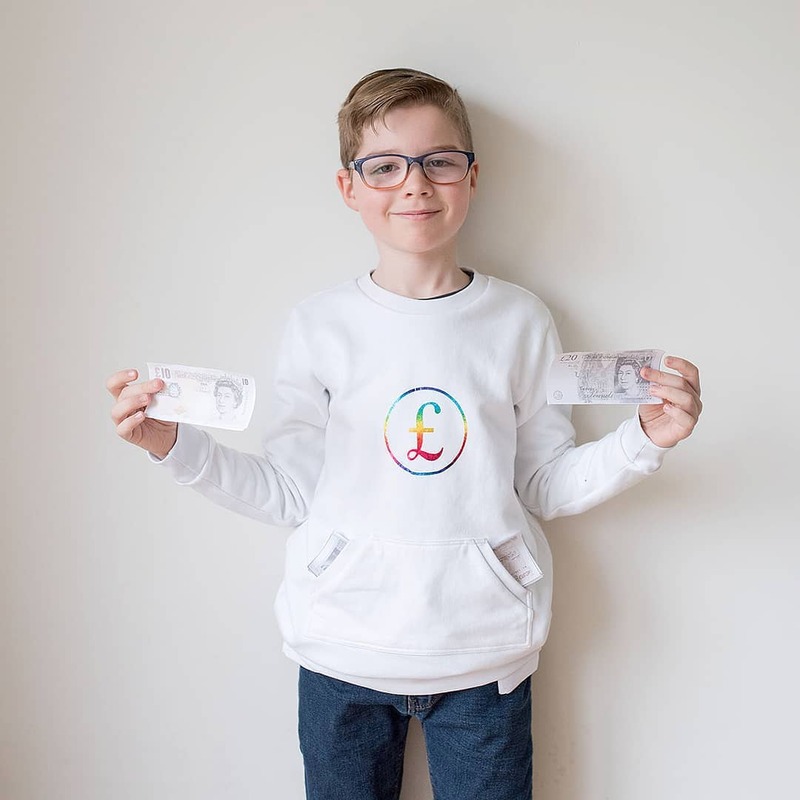 boy and need more boy sewing inspiration, I will be following your bog! wow worst sewing mistake? I have sewn my finger: that hurt! hm. I’ve had lots of mistakes with resin snaps. Then I try to remove them and get a big hole in my fabric! I have, a few times, sewn my sweater sleeve to whatever it is I was working on at the time. Who does that?! love this pattern! thanks for the giveaway! more than once, I have cut out a pattern on the wrong fold, making for some interesting pattern pieces. I often sew the wrong sides together so I end up with backwards and upside down pieces. I see a lot with solids so when I am not paying attention it happens. Always when in a rush I do the same stupid mistake…sew the wrong side up, requiring extra time with the seam ripper. I should know when to quit. I cut 2 hood pieces completely the wrong way – then realised i had no extra fabric…opps. I don’t know what my biggest mistake has been but I catch fabric under my needle ALL. THE. TIME. drives me crazy when I have to go through and pick out a seam! 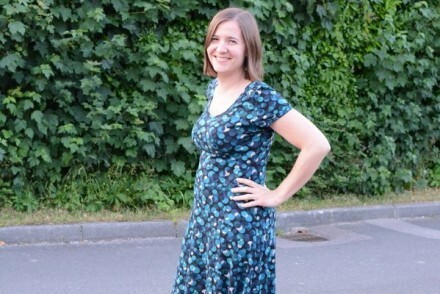 I sewed the panels of a dress together wrong…twice on the same dress! I tends to make mistake when sewing a zipper. Cutting so the pattern doesn’t run in the same direction on a garment. boo. Thanks for the chance! My biggest mistake was when I was hand sewing and I sewed the skirt I was wearing to my project. I’ve sewn the waist of my trousers inside-out, oops!!! I sewed the sleeves on a dress for my daughter backward. I think the most frustrating sewing mistake is when I forget to prewash my fabric and then make a garment that then shrinks in the wash! I was showing my son how to sew and ended up sewing my sleeve into the project. All day he said “sew..uh, oh.” over and over again. The biggest sewing mistake I’ve made would probably be… cutting pants too short at the alterations shop I worked at. OR melting a hole in a tulle layer on a prom dress! I fixed it though, and she was none the wiser! The biggest mistake I’ve made to date (because I am sure I will top it a few times over) was not cutting some border fabric on the bias and it was cheap fabric. Stretched all over the flamin’ place and was a right pain in the rear when I put it on the longarm to quilt it. Ripping out a hem and accidentally cutting a hole in thr garment. I draw a lot of my patterns and have a hard time reading pattern books! 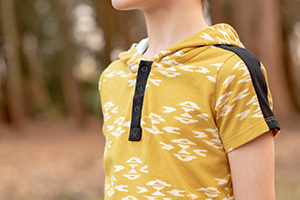 Its great that my kids are so close in age… so I shoot to make stuff for one size but it always ends up fitting someone. My biggest (screamiest) mistakes happen when me and my machine’s button hole maker tango – I basically no longer sew anything that requires a button!! I sewed the pockets in backwards on a pair of pants and I couldn’t even rip them out because the fabric was fraying so badly. My biggest mistake to date was when I cut a placket into the skirt front on my daughter’s Easter dress this year. I sent my husband to the store for more fabric! sewing a right side and wrong side legging leg together. seam ripper and knits=not so fun! Well I couldn’t decidewhich ONE of so many so I am listing 2. Cutting out sleeves for a top for me and I only had so much fabric so I cut one in one place and was going to cut the other from another. Well I used the first sleeve as my pattern piece. Without flipping it over. That’s right I had 2 of the same sleeve. And as I previously stated I only had so much of that (expensive) fabric. So I had to go to the store and buy another yard because of course it was a long sleeve shirt that required a yard for length. The kicker. I hated it on once it was finished. Number 2 I still do from time to time-you’d think I would learn but nope. t is not marking the “right side” of a double sided fabric. So for pants legs you sew them up both the same and have to rip it out because you forgot to put a piece of tape on the right side. HA! This one is EASY! I have a real doosy! I just started to sew and decided I was going to make my daughter a quilt. I bought some fabric at a big craft place, found a great tutorial, bought some more fabric at a local quilting fabric store and got to work cutting my pieces. (Groaning!) Soooo much work, cutting. I did everything the way I was supposed to, all my little 2″ squares were cut so well. I pieced the squares together into blocks of 4 and blocks of 9. As I’m ironing the last rows onto the 9 patches, I am noticing that my finished squares are all wonky and different sizes. I hadn’t been paying attention, but yup, they were all wonky… I was so upset. I sat and cried and cried… NEVER EVER, EVER AGAIN will I use anything but GOOD QUALITY material. I threw the whole thing away. I recently bought some Gypsy Girl and will start again after I finish my current project. sigh May the second time be the charm! Probably getting the fabric folded under itself and stitched together while I’m sewing. Such a pain to undo. The first pair of pants I sewed I mixed up the leg seam with the crotch seams – those pants did not work at all! 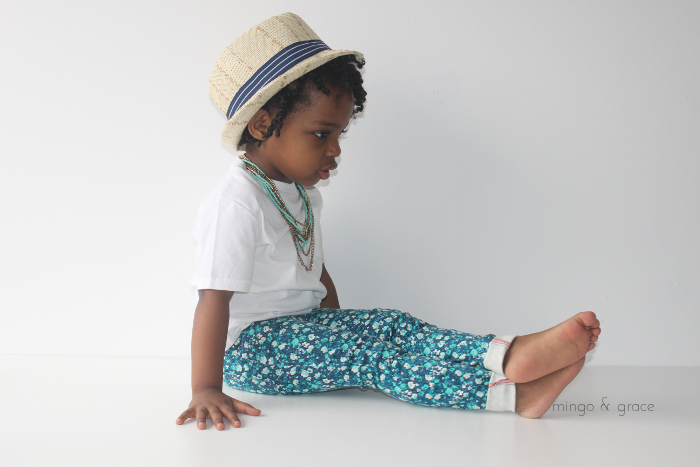 The biggest mistake I made was sewing my son’s pants I was making him for his birthday into a skirt accidentally! It was the first “boy” thing I made. I guess I have been in girl mode and got distracted! OOOPS!!! As a beginner, my seam ripper and I are the best of friends. The last big mistake I made was sewing the sleeve of a top inside out. Biggest mistake was probably cutting something terribly wrong, and/or through extra parts of fabric that should not be cut. Both have happened and are sadly not salvageable. biggest mistake would probably be when i sewed the lining on indise out….ya not so helpful!